Awesome customer service! And quality very happy! Very fast shipping! Extremely happy with my purchase....thank you so much! I attend water aerobic classes in a public pool where chlorine levels are higher than usual. I also have dry eye syndrome. Getting water in my eyes causes burning and is uncomfortable. 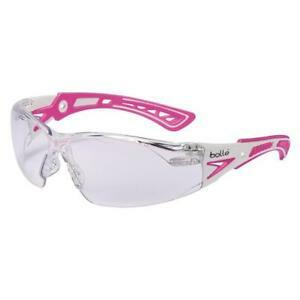 I use the Bolle Safety Glasses to prevent the water from splashing in my eyes. They are good looking...much better than actual water goggles. I've had lots of compliments on how "cool" they look. They work great, except as the water droplets hit the lenses, they leave somewhat of a streak, which makes it a little "fuzzy" to see through. 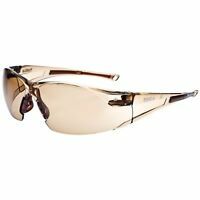 But all in all, I'm very happy with this purchase and ordered a backup pair. 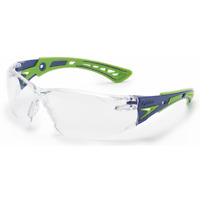 Protective lenses do the job. 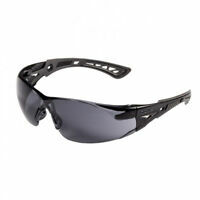 These protective lenses are quite good. 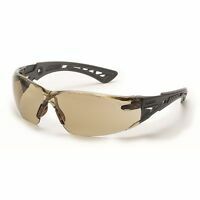 I would not say perfect because they are not polarized (can you polarize a clear lens?) Ever so slight distortion, nevertheless quite good. These glasses fit great. Theses are the only glasses that don't fall off of my face. 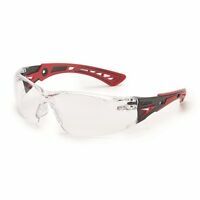 These are the most comfortable safety glasses I have worn. Very pleased with them!! Arrived on time. They fit perfectly. Just as advertised.